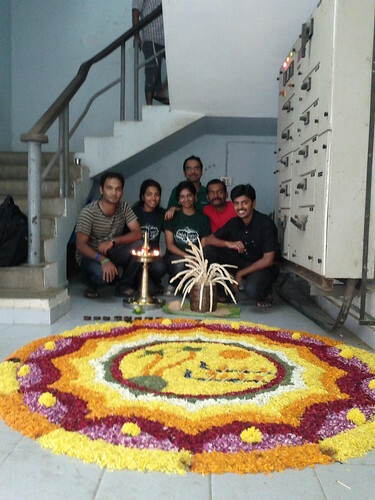 Onam is one of the biggest and most celebrated or popular festival of the state of Kerela in the country of India. This is the festival which is celebrated with great joy and moments of pleasure among the people of Kerala. Onam is a remarkable festival of this state which is celebrated to marks the King Mahabali of Kerala. It is the occasion which is celebrates in welcoming of King Mahabali. This festival observes each of the year in the month of Chingam a Malayali month. According to English calendar it observes in the month of August or September each of the year. This festival celebrates for long ten days in the state of Kerala. During the festival there are many cultural and traditional programs we can see and enjoy. Snake boat races, flower carpets, Puli Kali, Kaikottikkali dance, and elaborate banquet lunch are the major activities are done during the time of Onam festival in Kerala. Kaikottikkali dance is one of the major and most fabulous dances of this state of Kerala. It is the dance which needs a good concentration on practices and awareness of steps of this dance. Onam is also a most valuable time for harvesting in the state so it is also called as the harvest festival of the Kerala. There was also a beautiful myth behind the celebration of Onam in this state. King Mahabali was one of the great powerful kings of past time. Lord Indra was afraid to him so he got help from lord Vishnu to overcome about his power. During the time of Onam festival in Kerala there organizes a big fair too. People adorned their houses and shops that time. As like each year the festival of Onam will also celebrate. It will be celebrate for long 10 days in the state of Kerala.